There is a funny thing that happens when we make “clean” versions of traditional desserts. They get dressed in this halo of health, that doesn’t really befit them. The best example is probably the raw vegan desert craze that happened about 18 months ago. Raw vegan cakes were all the rage, yet they actually contributed more calories, more fat and more overall sugar than their regular versions. This mousse, to be fair, is similar. 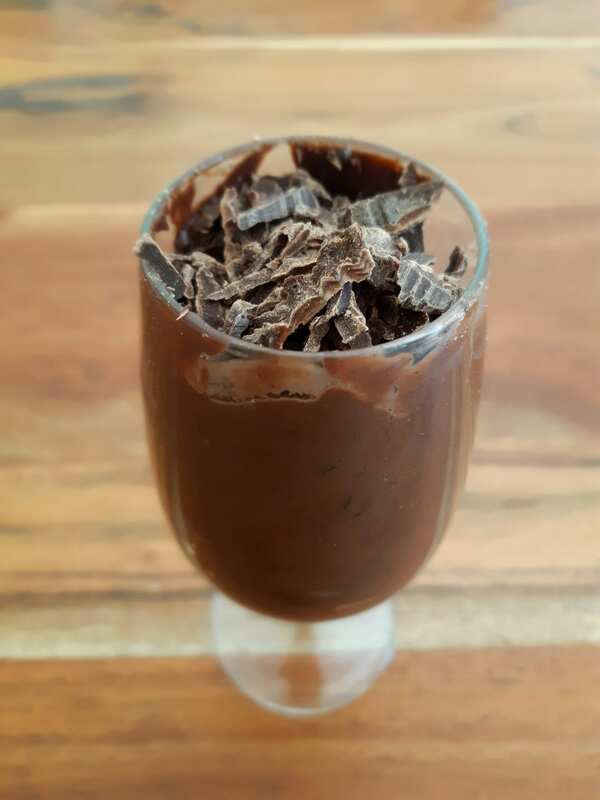 I made this recipe because having begun a keto diet, I have found that my appetite has plummeted. I need to eat less meals with more calories because otherwise I won’t eat enough! 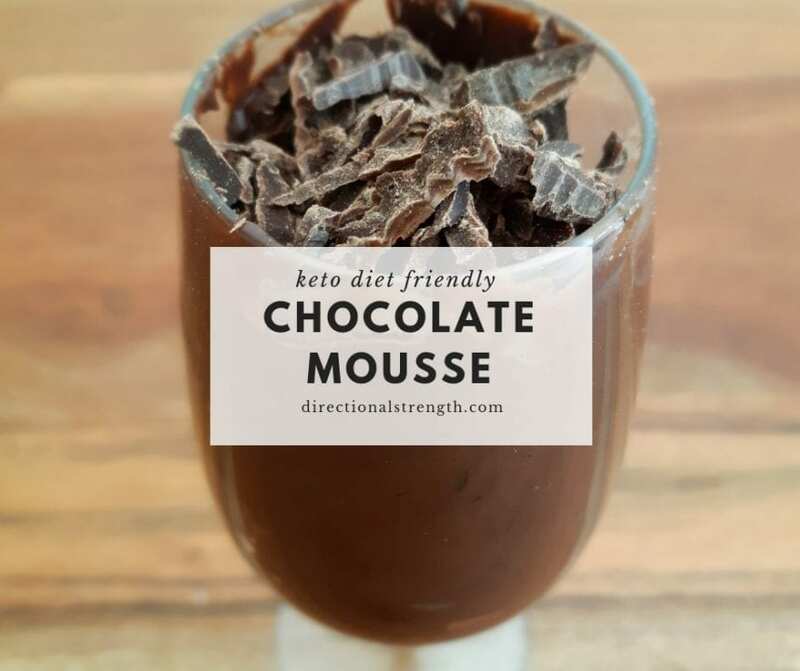 So all this considered, it has the same amount of calories and fat as a regular mousse. Yes, the ingredients are higher in nutrient density, so whilst technically it’s “healthier,” it’s not going to be any better for your body composition if you’re not making sure you’re not overeating. There’s no refined sugars, yep! But 380 calories for a dessert is still a lot. And even if you’re doing a very low carb or ketogenic diet, you still have to track your calorie intake. There is no magical fat loss effect that happens when you go keto vs eating higher carbs. Tread carefully here, if you are trying to drop bodyfat. This is a MEAL for people on a very low carb diet, and not something you eat to treat yourself after dinner. OK so rant over, let’s get to the recipe! Add everything except the dark chocolate to a food processor and blend well. Serve in a glass, and top with dark chocolate shavings.